Performance management looks at how an organization plans, measures, monitors and enhances its performance on different levels – departmental, procedural, workforce, systems or financial – in order to ensure the overall success of the organization. Nowadays, a lot of companies, regardless of size, have performance management systems set in place, some of them performing better than others. 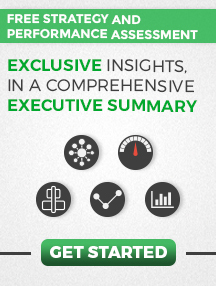 A good performance management plan aims at increasing and aligning all organizational levels. 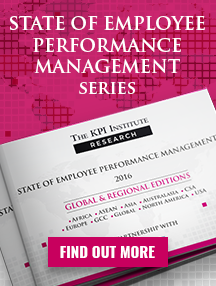 Performance management is used differently in every organization. 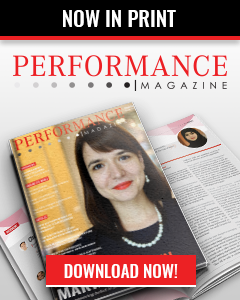 To give you an idea, here is an overview of how three great companies use performance management to align individual and organizational objectives. Planning – it involves finding ways of using the scarce resources such as time, money and energy to achieve the organizational objectives: it implies setting clear objectives and providing the necessary ‘ingredients’ for achieving such objectives, like giving incentives and training. Coaching – it gives the necessary support to employees, including good leadership practices like mentoring, giving timely and clear feedback and providing support where needed. Appraisal – this is where the pre-defined goals are assessed, in order to see whether individuals and management have been successful in achieving them. Next, let us see how Apple, Google and Statoil have implemented performance management and the differences between the three, if there are any. We shall only take a look at it from the HR perspective. 1. Apple Goals management: organization-centered; Recruitment: qualified and skilled personnel; Incentives: Salary. Variable pay: high performers are highly rewarded; Benefits: depending on individual performance and number of years within the company. Coaching: Mentoring and good leadership. 2. Google Goals management: cascaded to all; Recruitment: qualified and skilled personnel; Incentives: Salary. Benefits: they vary, being normally based on the legal framework of the country. Base salaries: very competitive in the markets they operate in; reflects the individual’s performance and responsibilities. Benefits: based on legal policies in the countries they operate in. Now that you know the basics, take a moment and look at how your company implements and measures performance management for HR practices. Apple, Google and Statoil are some of the biggest names in the business industry today. If you wish to understand how they have achieved their outstanding level of success and how their HR departments are some of the best performing ones in the world, look no further! 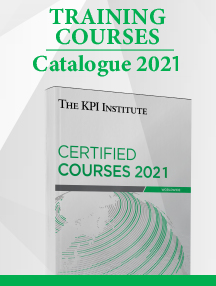 The KPI Institute has a wide array of learning materials that will give you the necessary knowledge to grow and develop your HR employees, in order to embark on the same path towards performance as Apple, Google and Statoil. Our Top 25 HR & Employee Performance reports contain numerous examples of the best in practice KPIs to be used for any HR department; in addition to this, our Human Resources Dictionary is a comprehensive manual, which serves as a sustainability enabler and a primer for human capital development, and can be used in the early stages of implementing a performance management framework, in the process of selecting and documenting KPIs, but also for improving an existing performance measurement system. 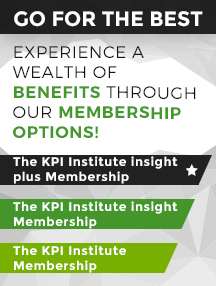 Furthermore, if you feel that you know which KPIs you should use, but are not quite sure how to develop or implement a measurement system, our HR Toolkits are here to help you out with that, showcasing how your PM System’s Architecture, Strategy Map, Balanced Scorecard & Dashboard should look like, as well giving you step-by-step guidance as to what your vision, desired state of evolution, identity and purpose should be. Moreover, if you prefer a video guide on how to best structure your HR department, so that it finally reaches that level of performance you’ve always wanted, our webinars are the resource you’re looking for!